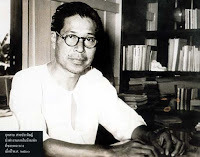 Another very interesting Thai writer is Nimittramongkhon Nawarat, who was in jail together with above mentioned So Sethaputra. Just recently all three of his (way to few) surviving works became available in English in the book The dreams of an idealist. Very interesting to read and gave a lot in insight into the times of Phibun's first ruling.